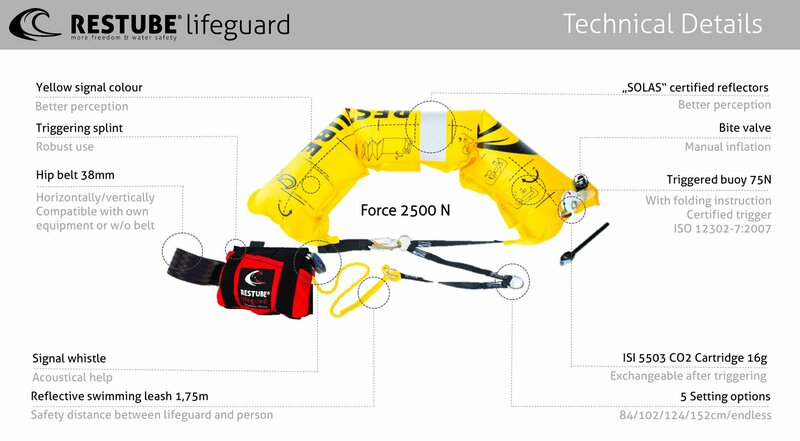 Safety leash from buoy to pocket 20 in. Product Dimensions: 6.5 x 4.75 x 3.5 in. RESTUBE lifeguard was developed in close cooperation with the SLRG (Swiss lifeguards), lifeguards from Germany, Wasserwacht (Germany) and RNLI (UK). RESTUBE is official "Safety Partner" and supplier of SLRG. 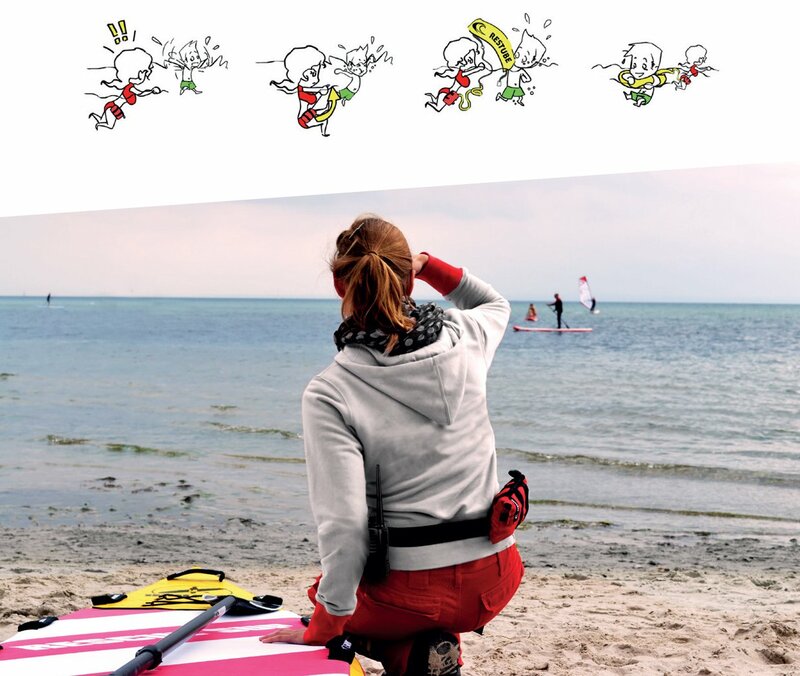 RESTUBE Lifeguard is so small that you can always carry it with you in service. It also does not take a lot of space aboard or in the car. RESTUBE Lifeguard is only suitable for trained professional lifeguards. In accordance with U.S. Coast Guard (USCG) guidelines, RESTUBE Lifeguard does not qualify as an approved PFD for the purposes of compliance with state laws regarding the requirement for vessels (boat, SUP, kayak / canoe) to carry PFDs per person onboard. RESTUBE products are designed to be functional supplements to these state requirements - offering convenience as well as emergency backup floatation. ARE YOU A U.S. LIFEGUARD ORGANIZATION? Please contact us at connect@restubeusa.com to further discuss RESTUBE Lifeguard for your organization.